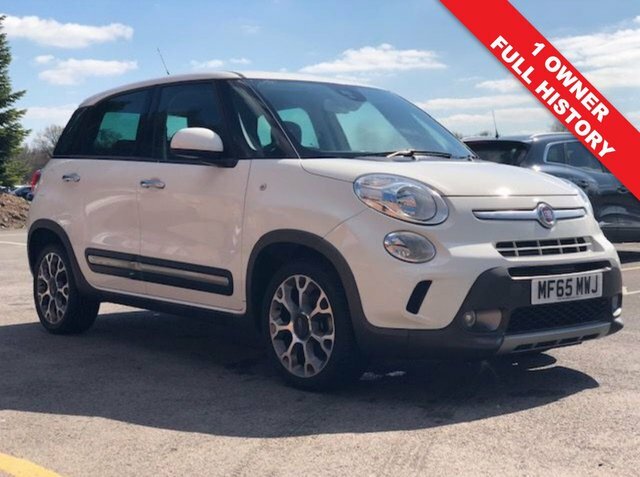 1 Owner, Service History, just 15,460 miles and comes with Privacy Glass, Parking Sensors, City Brake Control System, Air Conditioning, Bluetooth and Alloy wheels this is a sunning example of a Fiat 500L Trekking in beautiful Bossanova White that also comes with an MOT until 29th September 2019. Nationwide Delivery Available. finance Available at 9.9% APR representative. 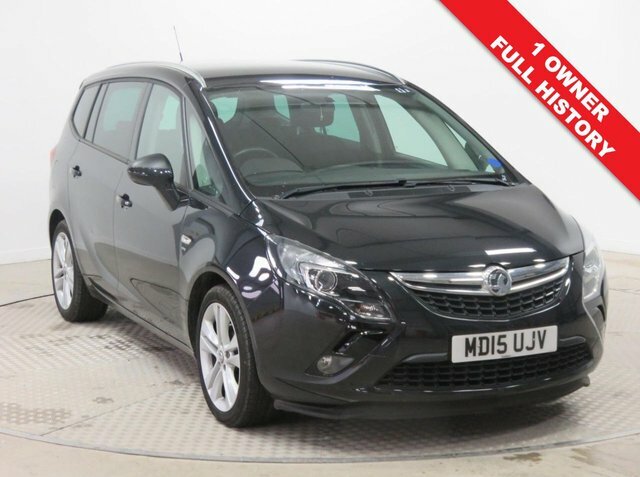 1 Owner Vauxhall Zafira Tourer 1.4 SRI with Full Vauxhall Service History having been serviced in July 2016 at 9,842 miles, July 2017 at 22,456 miles and August 2018 at 35,730 miles and comes fully equipped with Front and Rear Parking Sensors, Dab radio and CD, Cruise Control, Leather Multi Functional Steering Wheel, Carbon Black Metallic Paint, 2 Keys and Free Warranty. Nationwide Delivery Available. Finance Available at 9.9% APR Representative. Fill out the form and we'll get back to you! Stunning Nissan Note Tekna Auto with just one previous owner and full service history in beautiful metallic Sonic Blue. Comes with an array of equipment including SAT NAV, 360 degree Camera, Half Leather, Privacy Glass, Air conditioning, Bluetooth, Lane Departure and Blind Spot warning, DA Radio & CD, USB/AUX, Keyless Entry, Leather Multi Functional Steering Wheel, Alloy Wheels, 2 Keys and a Free Warranty. Nationwide Delivery Available. Finance Available at 9.9% APR representative. 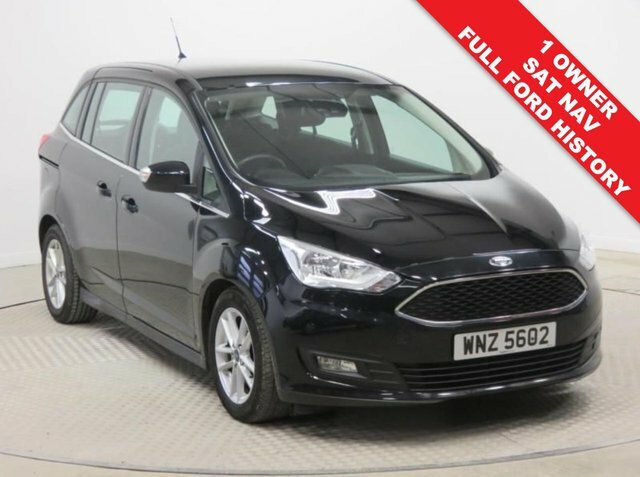 Stunning 1 Owner, Ford Grand C Max 7 Seat Zetec Navigation Auto, 66 Plate, registered 28.11.2016, comes with Full Ford Service History and the Balance of Ford Warranty. Comes in beautiful Shadow Black and with an array of equipment including Sat Nav, Rarking Sensors, Air Conditioning, Bluetooth, Front & Rear Heated Windscreens, Leather Multi functional Steering Wheel, DAB Radio, Ford Sync, Alloys 2 Keys. RFL is just £30. Finance Available at 9.9% APR representative. Get the best deal on a used car for sale in Eccleshall by making your way to EnjoyCarLife Ltd today. You will find every available model listed here on the website, and as all our stock is competitively priced you should have no problem sourcing a pre-owned car to suit your budget. Take the opportunity to browse our current range online. Our friendly and knowledgeable staff will be more than happy to answer any questions and provide advice and guidance when necessary. Every effort has been made to ensure the accuracy of the above vehicles information but errors may occur. Please check with a member of our team. Finance is available to UK residents aged 18 years or older, subject to status. Terms & Conditions apply. Indemnities may be required. Other finance offers may be available but cannot be used in conjunction with this offer. We work with a number of carefully selected credit providers who may be able to offer you finance for your purchase, commission may be received. We are only able to offer finance products from these providers. Postal Address: EnjoyCarLife Ltd, Swynnerton Road, Cold Meece, Staffordshire ST15 0GR. Find contact details here.